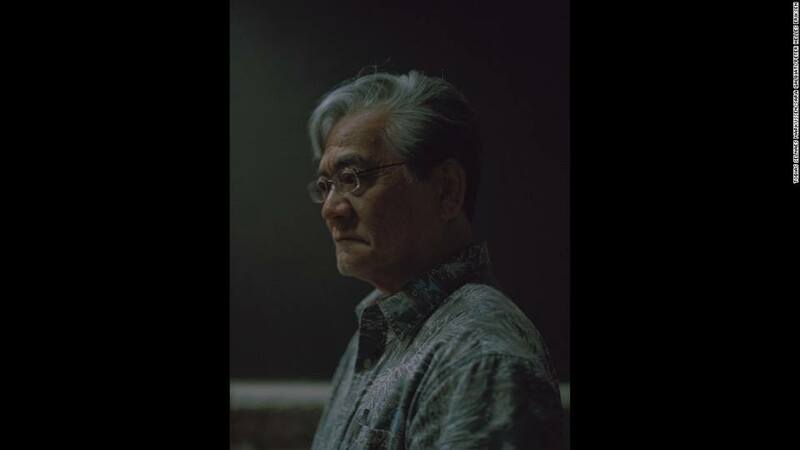 Although I have spent many years investigating Area 51 in Nevada to determine the facts on the importance of that facility (In 1990 I accompanied a Japanese TV crew to the perimeters of the base), I am skeptical of any UFO or “alien” connection to the base. 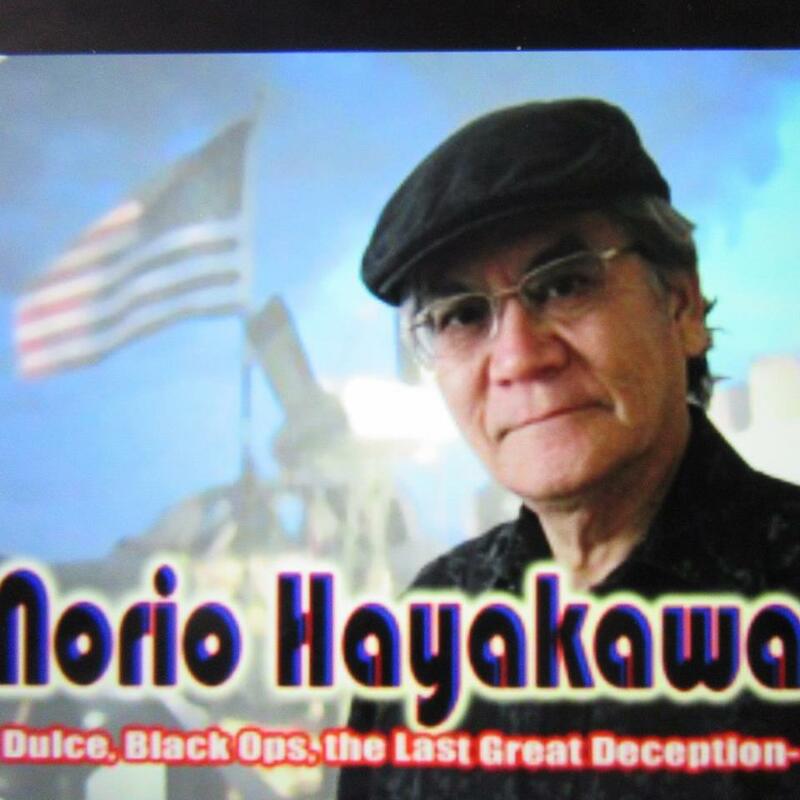 The Japanese TV crew and I also visited Dulce, New Mexico subsequently. In March of 2009 I organized the first Underground Base conference that took place at the Jicarilla Apache community. Although I subsequently spoke at several conferences on the topic of Dulce, I have expressed my skepticism about the actual physical existence of such a base in New Mexico without debunking the claims of those who have seen some strange goings-on in that area. In fact I believe that some type of paraphysical phenomena is prevalent in the Dulce region. My research in the field of Ufology and related subjects has spanned several decades (since 1961). I would like to describe myself as an unorthodox Ufologist in the sense that my main interest is on the UFO culture and the diversity of beliefs held by UFO “enthusiasts”, including myself. I often discuss how I became convinced of the reality of the UFO phenomenon itself, when my skeptical mother had a sighting of what she clearly described then as a “flying saucer” in 1975 during broad daylight in Japan. I also often discuss about how personal, physical observations of UFOs vary in time and location, which I am convinced is pre-selected and paraphysically “materialized” by extra-dimensional intelligences, for reasons yet unknown. UFO Culture and Beliefs…….1947 – – The year of strange coincidences? 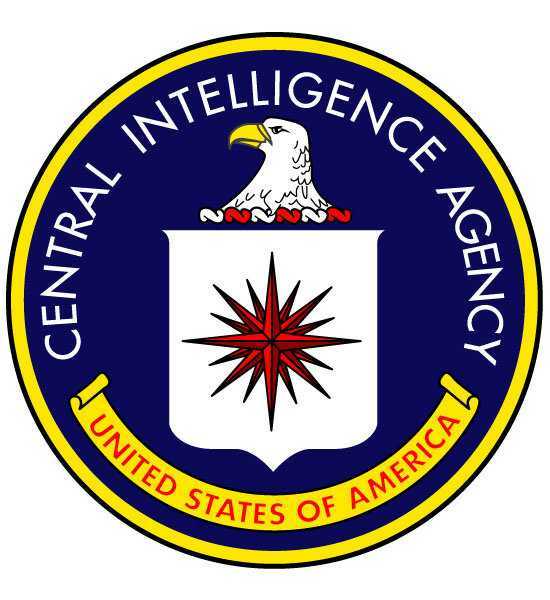 It was in 1947 that the CIA, successor to OSS (Office of Strategic Services), was established. 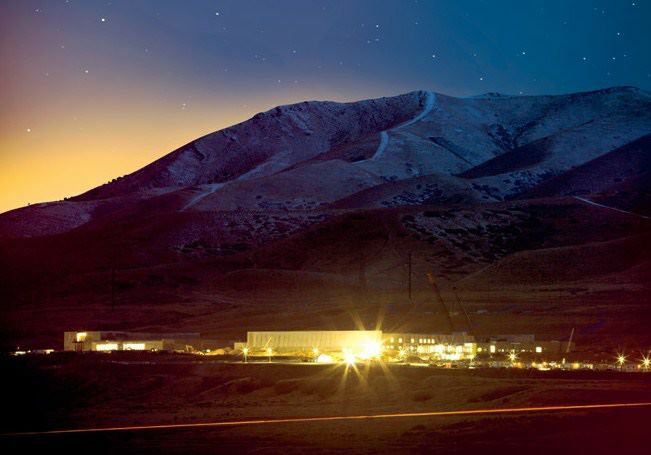 The passing of the National Security Act in 1947 led to the establishment of NSA. 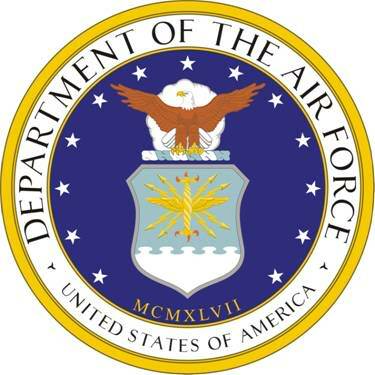 The Department of the Air Force was officially established in 1947. 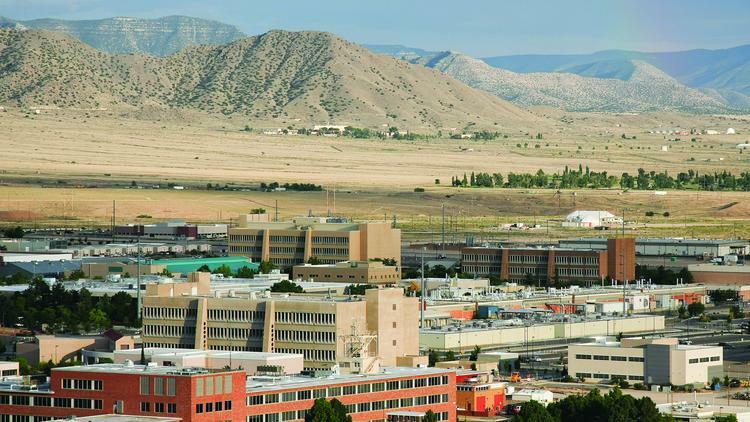 Sandia Laboratories, one of the largest defense conglomerate research laboratories in the U.S. was established in 1947 within Kirtland Air Force Base in Albuquerque, New Mexico. Kirtland became an Air Force Base in 1947. (former Kirtland Army Air Base). The Manzano Underground Storage Facility and Base began its construction in 1947 in the northeastern portion of Kirtland Air Force Base. 1947, also was the year when something strange was going on in the desert of the American Southwest. 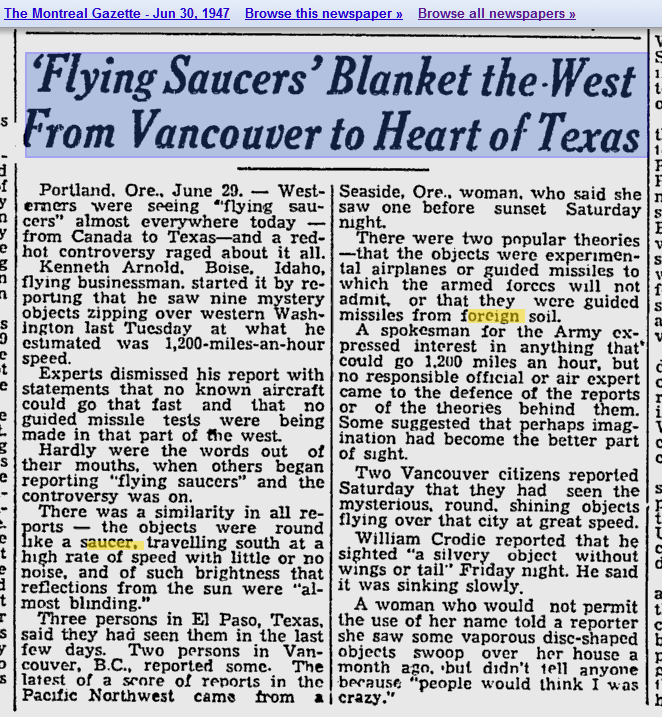 In fact, from Oregon to Texas, a wave of “flying saucer” sightings began to mystify the public. Some hold on to a speculation that with the help of German scientists and engineers (acquired through Operation Paperclip of 1945), the U.S. military secretly conducted test flights of crescent-shaped flying wing aircraft (allegedly some improved versions of Horton 229) over the deserts of southern New Mexico in 1947. Some others even speculate that test flights may also have been conducted in wide areas in the Western states, extending from Washington all the way to Texas. Those who hold on to this theory say that accidental crashes of some of these craft may have necessitated the creation of convenient “cover stories” (and “staged” events) which were conveniently promoted later by a manipulative force (human or non-human?) to bring about the beginning of an “agenda” or some type of a gradual, conditioning of belief systems programmed for future “scenarios”, whatever they may be. And something important was developing in the Middle East. In November of 1947 the United Nations ordered the partition of Palestine into a Jewish State and an Arab State, preparing the way for the establishment of the State of Israel in the following year, 1948, which led to the First Middle East War. 1947 also, by the way, was the year of the discovery of the Dead Sea scrolls. IN ANY CASE, IN 1947 THERE WAS A WHOLE LOT OF SHAKING GOING ON!! Much has been made of the dropping of the first atomic bomb on two now-infamous cities, Hiroshima and Nagasaki, and the health-nightmare aftermath. But only now is the spotlight being put onto those who had the actual first atomic bomb dropped in their vicinity—it was the Americans’ own people, Turtle Island’s original inhabitants, the Indigenous Peoples of the southwest. The world’s first atomic bomb was detonated on July 16, 1945, in New Mexico—home to 19 American Indian pueblos, two Apache tribes and some chapters of the Navajo Nation. 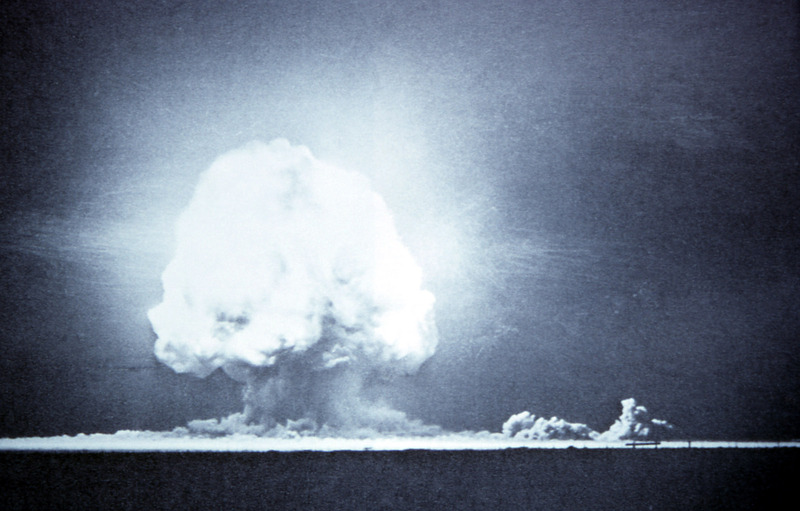 Manhattan Project scientists exploded the device containing six kilograms of plutonium 239 on a 100-foot tower at the Trinity Site in the Jornada del Muerto (Journey of Death) Valley at what is now the U.S. Army’s White Sands Missile Range. The blast was the equivalent of 21 kilotons of TNT. At the time an estimated 19,000 people lived within a 50-mile radius. It has taken nearly 70 years, but the National Cancer Institute is launching a study to determine how much radiation the residents of New Mexico were exposed to that fateful day, and what effect it could have on their lives. What people reported seeing at 5:30 that morning was a flash more brilliant than daylight followed by a green (or red or violet or blue, depending on who is recounting the story) glow in the sky. No one knew what had happened, no one knew how to protect themselves from the effects of this new technology, and no one knew that it would be almost 70 years before the government would investigate what those effects were. The Trinity test was conducted to determine whether the plutonium bomb intended for Nagasaki would act according to theory. It did. But the Department of Defense changed the design of the bomb anyway. “From the Trinity test they determined that they were going to have to drop the bomb from a higher altitude or detonate the bomb at a higher altitude than they did at Trinity,” said Tina Cordova, Santa Clara Pueblo, head of the Tularosa Basin Downwinders’ Consortium, an activist group that has been pushing for just such a study for more than 10 years. The government briefly monitored the radiation levels at several sites near the blast with the relatively crude instruments that were available at the time and according to the extremely lax standards of the time. Contemporary reports from both American Indian and government witnesses describe a light ash that rained down for four or five days after the detonation. It went everywhere—onto people’s clothes and bodies and into their homes, into the cisterns they used to collect rainwater for drinking, on the crops they would feed their families, on the forage their animals would consume, and into the watershed from which the animals they hunted drank. Manhattan Project Searchlight Station L-8 crew who were cooking steaks over an open fire a few hours after the blast buried the steaks and left the area after the food became contaminated by fallout. Henceforth, the U.S. conducted almost all of its nuclear tests at the Nevada Test Site and in the Pacific. No other test was ever conducted in New Mexico. Still, there would be no picking up and leaving for the people whose ancestors had lived on this land and who, in any case, did not know they were in danger. The radiation field was as extensive as it was because the blast was so close to the ground that it picked up the soil, which was drawn up into the mushroom cloud by hot air currents. Then there was a huge lightning and rainstorm the night after the test, which would have caused radioactive particles trapped in the cloud to fall to earth. The wind also helped disperse the particles. That observation echoed in reports by Cyril S. Smith and Philip Morrison. “The obvious fact that all of the reaction products were not proceeding upward in a neat ball but were lagging behind and being blown by low altitude winds over the ground in the direction of inhabited areas produced very definite reflection that this is not a pleasant weapon we have produced,” Smith said in his account. Nowadays the United States Environmental Protection Agency readily acknowledges on its website the likely effects associated with long-term or chronic low-level radiation exposure. The longer the exposure the more likely that cancer and other illnesses will occur, according to the EPA’s website. However, this is in hindsight prompted in part by what happened to the Navajo and other American Indians after the test blast. In New Mexico, American Indians would begin to experience many types of cancers—rare cancers as well as multiple primary cancers. Cordova said that her father, who was three years old at the time of the test, had two oral cancers and one gastric cancer, none of them the result of metastasis. He never smoked or drank. Cordova is far from the only witness to these effects. Mescalero Apache Tribal Council member Pam Cordova said her tribe has experienced the same thing. Bake sales sometimes pay for pain medications, but most often people simply do not have the resources to take care of themselves in the face of such devastating diseases. “People in these small communities are almost always underinsured or uninsured, and then they’re left to deal with these horrific, horrific cancers with little to no insurance or means for taking care of themselves,” said Cordova. New Mexicans affected by the Trinity test are not eligible for remuneration under the Radiation Exposure Compensation Act, which covers virtually all nuclear and uranium workers and so-called down-winders except those affected by the Trinity test, in part because no one has ever before formally studied what happened in New Mexico after Trinity. Have you ever felt unsatisfied with the explanation of a strange event? 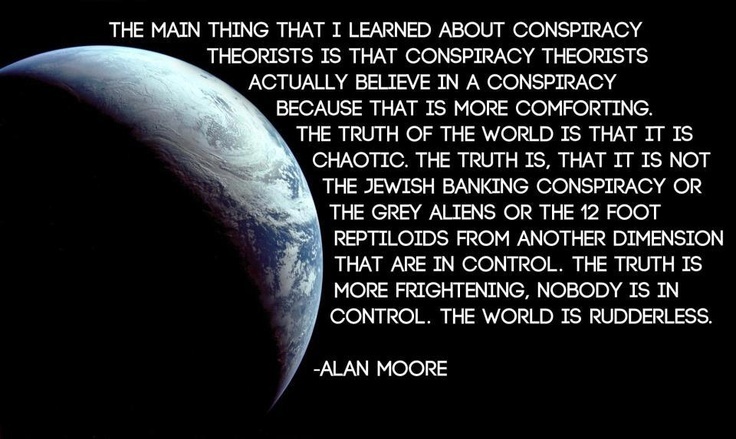 Find out why we often come up with and believe conspiracy theories. An intriguing new political science study reveals that around half of the American public believes in one or more conspiracy theories. According to the authors, the findings go a long way to explaining the country’s current political culture. 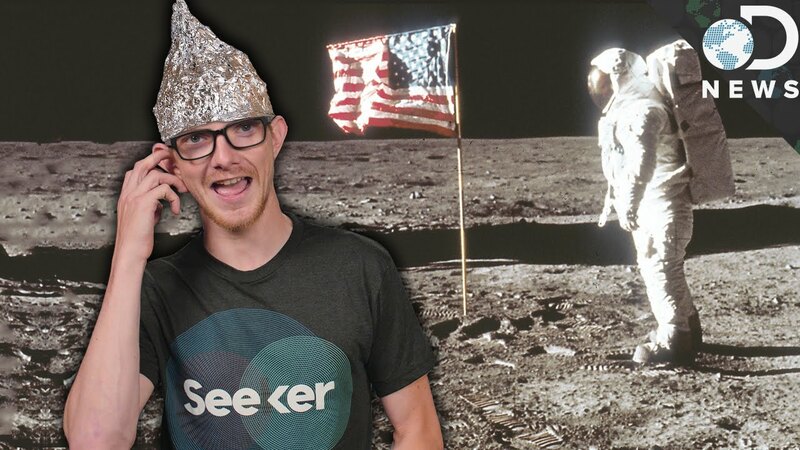 As Julian Huguet explores in today’s DNews report, scientists have been studying the phenomenon of the conspiracy theory for a long time. While it’s no secret that huge numbers of people subscribe to them, there may be specific psychological, biological and even mathematical reasons why. Studies have shown that when confronted with frightening events, the brain’s amygdalae — the part that processes fear — prompts the rest of the brain to start looking for answers. We’re hardwired to look for patterns or other information that will help us assess the situation and make a plan. With big and baffling problems, however, the brain runs into mathematical tangles. When the brain tries to assess really large data sets — or a really confounding dilemmas — it can find millions of patterns, real and perceived. That’s where the psychological principle of confirmation bias comes into play. To reduce options to a manageable cognitive level, we tend to only register information that confirms what we already know and believe. The concept of proportionality is often involved, too. That idea refers our psychological tendency to believe large events have large causes. Political scientists Eric Oliver and Thomas Wood crunched the numbers from several national surveys over a six-year period. They found that those susceptible to believing in conspiracy theories don’t necessarily tend toward political conservatism, as the stereotype suggests. According to a Washington Post report on the study, the most popular political conspiracy theories include the “birther” conspiracy (endorsed by about 25 percent), the “truther” conspiracy about 9/11 (endorsed by about 19 percent), and the theory that the FDA is deliberately withholding natural cures for cancer (endorsed by 40 percent). By the way, some even say that the creation, promotion and dissemination of “Global Conspiracy theories” are part of the procedures of the intelligence communities, particular the U.S. Intelligence Community. Nothing new. At the same time, however, the overwhelming, vast majority in the scientific community have been skeptical when it comes to UFOs as conclusive evidence that we have been (or are being) visited by physical aliens in physical alien spacecraft of any kind. As far as I am concerned, the bottom line is that we have not yet been presented with any single globally accepted physical, tangible, solid, as well as irrefutable documentary evidence of such, so far. But all this does not mean that the study of the UFO phenomenon has no intrinsic value. Ufology is an important study and will continue to be so as long as the “UFO phenomenon” is not conclusively solved. However, as for myself, I am more interested in the study of its culture and beliefs and the impact of such beliefs on society in general. Such study (on UFO Culture and Beliefs) is far more interesting and significant than the seemingly illusive, never-ending pursuit of the UFO phenomenon itself. 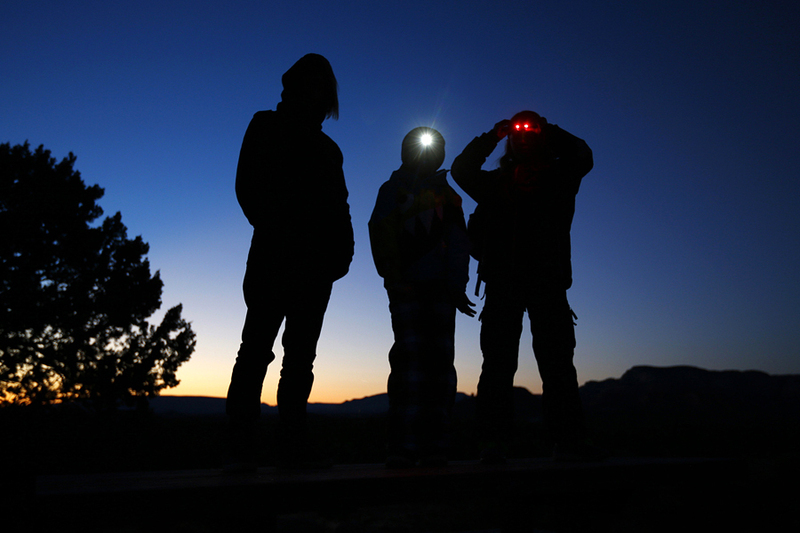 Yes, “UFOs” have become a social, cultural and psychological phenomenon. Some even say that such beliefs are much needed for some folks who may feel the urge to believe in something or something that gives them a sense of “hope” (in tandem with religious beliefs), especially in these troubling, uncertain age of global economic, social and political crises. For many gullible folks among a segment of the society (and there are many such folks in the so-called UFO Community) the Internet has become a cesspool of totally unfounded “facts” created by hucksters and hoaxters so much so that even college-educated folks seem to fall into it. Such hucksters and hoaxsters have become so skillful in their “art forms” that it is becoming harder and harder for many folks to distinguish what is true information and what is misinformation. My answer is: The only evidence acceptable would be the revelation of their actual physical spacecraft (i.e., if the phenomenon is fully physical), along with the revelation of its occupants in front of the global press, the global scientific community and the public-at-large at a globally recognized and viewable venue (such as in the lawn of the White House, or in Central Park or any publicly recognized venue), along with the total live global TV simulcast coverage of the revelation. CNN REPORT – – April 28, 2016. The book is published by Danish photographer Peter Helles Eriksen, Sara Galbiati and Tobias Selnaes Markussen. “In Denmark or in Europe, it’s kind of taboo: If you believe in UFOs, you keep it to yourself. It’s not something you go around talking about it, because the majority will think that you’re kind of mad”, Galbiati said. “But in America, especially, of course, the places we went, it was more like an understanding – – If you believe in this, I’m not going to question you’. It’s almost like a religion – – ‘I won’t judge you, everybody has their right to believe in what they want”….. There are hundreds of satellites that orbit around our planet every day. Since the days of Sputnik, humans have been sending up satellites because they offer us a number of advantages. Television, internet, and many forms of modern communication happen because of satellites. 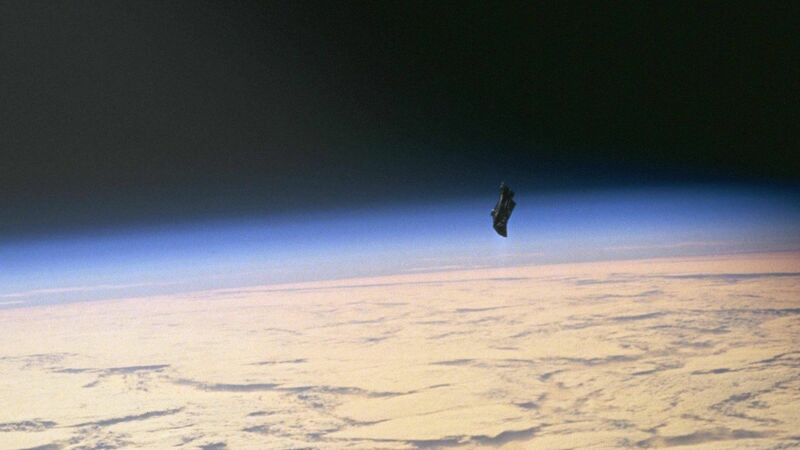 There is one satellite, however, called the Black Knight, that some believe is different than the rest. It’s in a polar orbit and it has been there for 13,000 years. There’s only one answer for this: aliens. They’re not saying it could be aliens, but it’s aliens. It’s also a theory that has been thoroughly debunked already. WHY IS THE SATELLITE BELIEVED TO EXIST? In February of 1954, the US Air Force released a report that they had detected two objects in orbit that had a very erratic movement. At the time, no satellites had been put into orbit by humanity. This was all according to aviation major and a UFO researcher and his interview was published in two American newspapers. This was followed up 6 years later with the US Navy reporting that they were tracking the orbit of an erratic satellite. As for the Air Force story, it can neither be proven nor eliminated as false. The statements are of one man. The US Navy story, however, was later proven to be fragments of a Discoverer satellite that had been recently launched. About a decade later, Duncan Lunan took data from Norwegian radio researchers who believed they had found an unusual signal. As Lunan studied the signals, he believed that he found a pattern. He compared it to a star chart and came up with proof that the radio data was actually pointing to a star origin from Epsilon Bootis. The signals were coming from a polar orbit satellite. Once Lunan realized the data he was studying was flawed, however, he immediately withdrew his conclusions. WHAT ABOUT THE IMAGES OF THE SATELLITE? 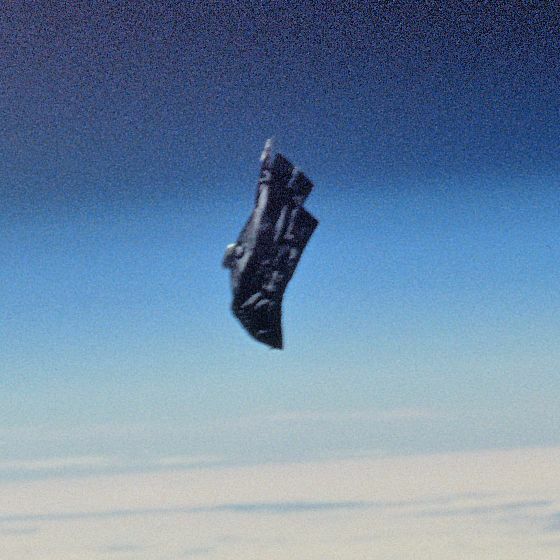 In 1998, a space mission captured a black image floating in orbit around the planet. The images have circulated around the internet widely because they look to be quite probable. The photographs of the dark image have also been authenticated. Some believe that these images are actually of the Pakal Spacecraft and isn’t a satellite. Others believe that it is a discarded thermal blanket from a previous space mission. There is proof that there is something in orbit around the planet right now. It has been observed and is being tracked. If people wish to believe in the idea of extraterrestrial life placing a satellite in orbit, then there is no real harm in it. Jumping to conclusions when there aren’t facts to support them, however, is the hallmark of any good conspiracy theory. Sometimes it is fine to just say “I don’t know.” What are the Black Knight satellite images? We don’t know. We do know, however, that parts of the story behind the satellite have been debunked and withdrawn, meaning that mysterious images and one man’s story from six decades ago are the foundation of this theory. Make your own decision.